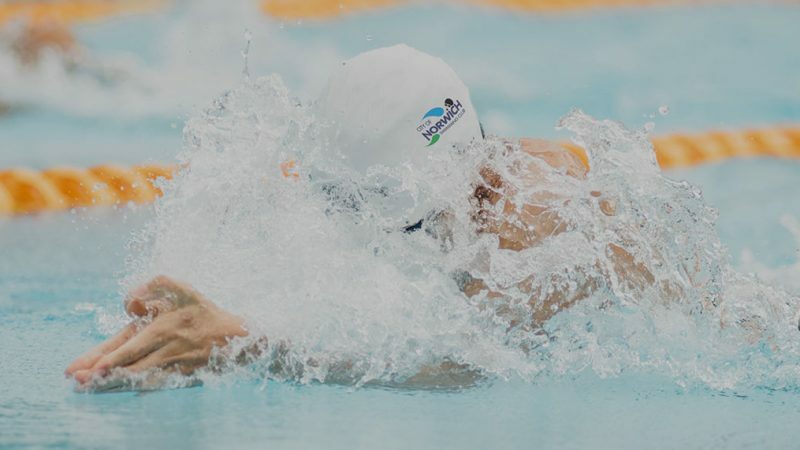 It’s official, morning swimming on Wednesday 28th February 2018 has been cancelled! Hopefully between email, text, tweet and website, everyone….. Thank you to all those who took part and the many volunteers it takes to run the Mini Meets! 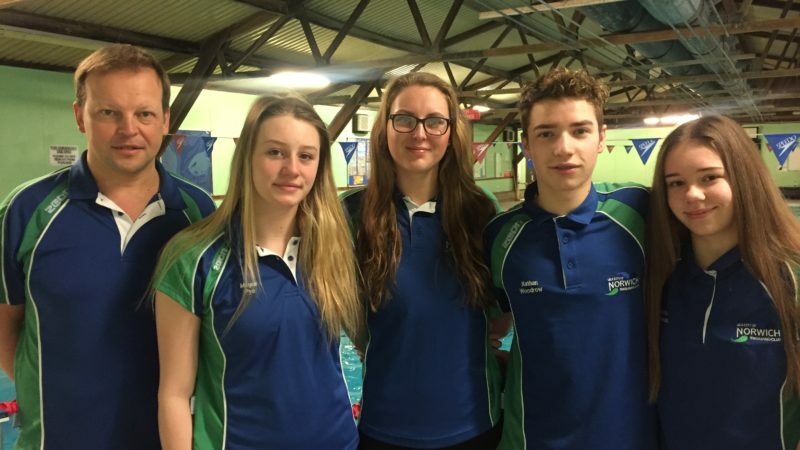 February…..
Well done and good luck to Megan Pye, Jessica-Jane Applegate, Nathan Woodrow and Sacha Thomas who compete at the 2018…..
City of Norwich Swimming Club runs and attends a large number of events during a swimming season. 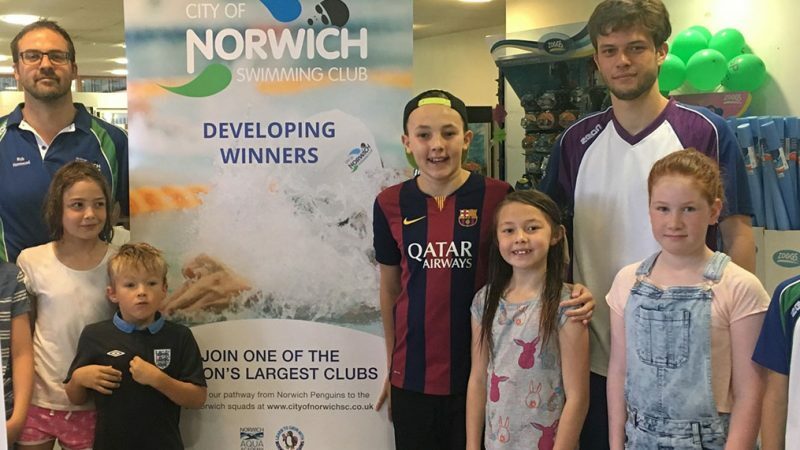 These events are…..
On Sunday 27th August, after what seemed like a few solid days of email communication; I headed down to UEA….. 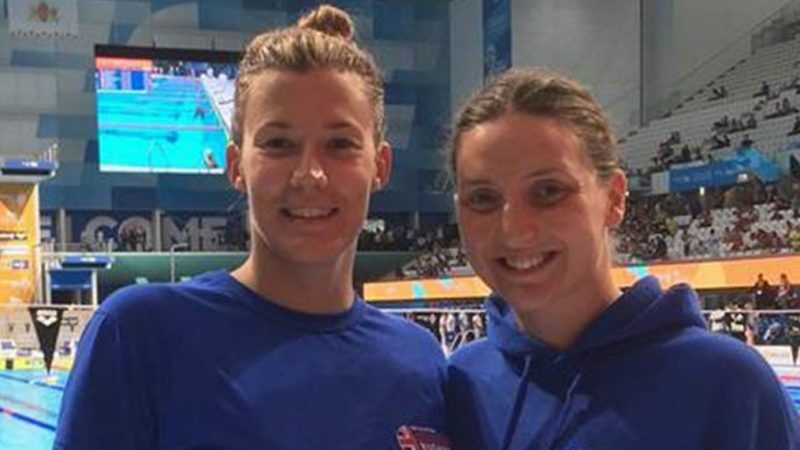 This summer Sophie Liddament (Masters) and Louise Bush (National Youth) travelled to Budapest representing Team GB Masters at the FINA…..
Norfolk Junior league straddled 2016/2017 this year and the final on the 4th February 2017 proved to be an exciting…..